We love to feature the success of McElroy Trust Fellowship recipients. If you are a Fellowship recipient, we’d love to hear from you. Please email megan@mcelroytrust.org so we can share your story. “With the support of the McElroy Fellowship, I completed doctoral and post-doctoral training in the neurorehabilitation of speech, language, and swallowing at Florida State University and Northwestern University. As a clinical researcher and a licensed speech-language pathologist my research activities to date have focused on improving the rehabilitation of swallowing impairment. Swallowing impairment, also known as dysphagia, can lead to negative consequences such as pneumonia and reduced quality of life. Overall, I strive to improve and develop effective therapies to help premature infants, children, and adults eat safely and efficiently. Much of my research and clinic work is focused on working with persons with Parkinson’s disease, stroke survivors, and persons recovering from traumatic brain and/or spinal cord injuries. My dedication to my work stems from the continual inspiration I receive as I witness and help patients return to eating, health, and wellness. I am currently an assistant professor at the University of Northern Iowa (UNI), a clinical researcher at the Shirley Ryan AbilityLab, and an adjunct assistant professor in Physical Medicine and Rehabilitation at the Feinberg School of Medicine at Northwestern University in Chicago, IL. I have recently conducted/am completing five grants at Rehabilitation Institute of Chicago (RIC)/Shirley Ryan AbilityLab. These projects are funded by the ASHFoundation, American Heart Association, two Brown Fellowships at RIC, and the Craig H. Neilson Foundation, and are focused on improving the rehabilitation of swallowing after stroke, traumatic brain or spinal cord injuries, and in Parkinson’s disease. I also am one of the few board certified swallowing specialists (BCS-S) in the state of Iowa. The McElroy fellowship provided the support for my training, which prepared me to lead these projects and to be recognized as the 2013 New Investigator of the Year by the international Dysphagia Research Society. “I am currently an assistant professor of economics at my alma mater, the University of Northern Iowa (UNI). My journey back “home” was both challenging and fulfilling. The financial assistance provided by the McElroy Fellowship was instrumental and allowed me to explore opportunities during graduate school that otherwise would not have been possible. During my graduate studies at Iowa State University, I had the benefit of working on policy-relevant topics with top researchers in my fields (environmental and agricultural economics). My dissertation focused on the economics of cellulosic biofuel, or fuel produced from grass or crop residues (“biomass”). I have continued my research in this area and currently have research projects on the potential locations and sizes of biofuel production facilities, the economics of different biomass supply methods, and strategies to minimize biomass supply risk. In addition, I have begun to explore other areas in economics such as housing market determinants and the relationship between drug use and labor market outcomes. “My research group at the University of Wisconsin-Madison studies X-rays produced in the local galaxy as a means to understanding the environment of interstellar space. Since these X-rays can’t penetrate very far through air, we use sounding rockets to get our X-ray detector above the atmosphere. “I have used my PhD to pursue a career in the aid sector, in a research capacity. I am currently working as Senior Research Analyst at the Humanitarian Futures Programme, at King’s College, London. My role here is to work with organisations with humanitarian roles and responsibilities to improve their capacity to deal with new and evolving crisis drivers. In my primary function I oversee the FOREWARN Initiative, a 3.5 year project which seeks to build institutional capacities for disaster risk reduction across West Africa. As part of this initiative, I recently travelled to Akosombo Dam in Ghana to carry out research on cross-border water governance in the Volta River Basin (see photo). “I will be graduating with my PhD in Molecular Biology from Northwestern University this July. My research focuses on the mammalian cellular response to RNA virus infection. RNA viruses range from the pesky common cold, to influenza, to life-threatening HIV. A family of proteins expressed in nearly all cells of our body have the ability to detect RNA viruses, serving as the first line of defense against infection. Throughout my thesis research I characterized the mechanism by which two of these proteins work together to detect RNA viruses, ultimately warning the cell and neighboring cells that an invader has been spotted. This allows the infected cell and neighbors to establish a powerful antiviral state, ultimately preventing the spread of the infection. 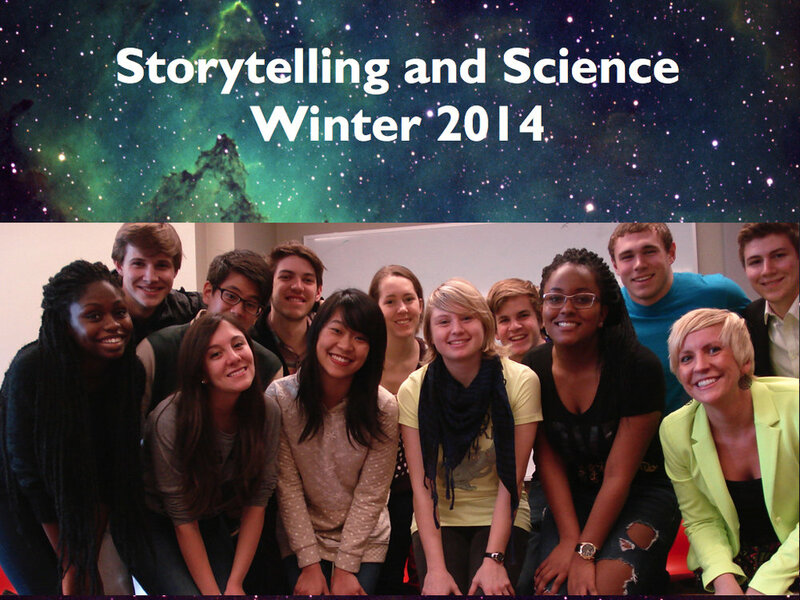 This past year I also had the opportunity to independently design and teach a new freshman seminar at Northwestern called Storytelling and Science. In this course, students learned the elements of powerful storytelling and applied them to contemporary scientific discourse. The experience of teaching this course renewed my passion for science communication. I will be attending a highly competitive science communication conference at Harvard this June, and plan to continue with a career in science communication after completing my PhD.